Explore 2017 Jaguar F-TYPE Technology with Jaguar Annapolis. For those Baltimore drivers who enjoy technology in vehicles, the 2017 Jaguar F-TYPE is a great choice. From driver assistance features to entertainment, this model is packed with everything you want. When it comes to technology in the Jaguar F-TYPE, you’ll be amazed at everything you can access that’s directly in your line of sight. For instance, make phone calls or access your audio using your voice through the Bluetooth® technology feature. You can also access all the information you want using the 8-inch color touchscreen located right in the center console. Plus, this is where you can pay attention to the navigation and see your next moves in crisp color. Every Jaguar model, including the F-TYPE, comes with Jaguar InControl, an infotainment system designed to bring everything you need to the forefront. Through this system, you can access your favorite information, entertainment, and connectivity, and you can even sync it with your smartphone to bring your favorite apps, contacts, and music to life. For those of you who enjoy technology and remote access in Arnold, the InControl Remote™ feature allows you to have access to your vehicle even when you’re not driving. For instance, with this model, you can connect with your vehicle through your smartphone. Want to lock or unlock your vehicle or start/stop the engine? Simply break out your smartphone and do it from there. For those who enjoy being blown away by the radio, you’re in luck. The 2017 Jaguar F-TYPE model offers a standard Meridian™ Surround Sound System that pushes 770 watts throughout the cabin. Through other features like Meridian Cabin Correction and Digital Signal Processing, this model will ensure you always have clear sound, even if you’re driving the convertible model. If its variety you’re looking for, the Jaguar F-TYPE offers both HD Radio and SiriusXM Radio, so you have easy access to the entertainment you’re looking for. Through both these systems, you will have access to hundreds of channels, from sports to music and more. Technology is not just about being entertained; it’s also about safety. The F-TYPE comes with driver assistance features you’ll be sure to love when driving through Washington DC. For instance, the Assisted Parking feature provides a clear view of your surroundings to help you get in and out of parking spots. The Blind Spot Monitor provides a visual and audible warning when an object is in your blind spot. The Intelligent High Beam option automatically switches your front headlamps from high to low beams when oncoming traffic is detected. The 2017 Jaguar F-TYPE is packed with tech features that all Baltimore drivers will love. 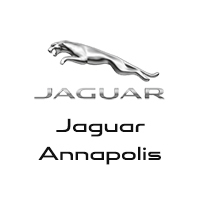 Visit Jaguar Annapolis today at 101 Ferguson Road in Annapolis to see our inventory. You can also contact us online or call us at (410) 904-3107 to schedule a test drive or apply for financing.